If you're looking for an awesome baby gift for your friend's expected baby girl, then look no further! The Girls' Pink and White 16-Piece Baby-Starter Set Box is the perfect gift for any mother expecting a little girl. 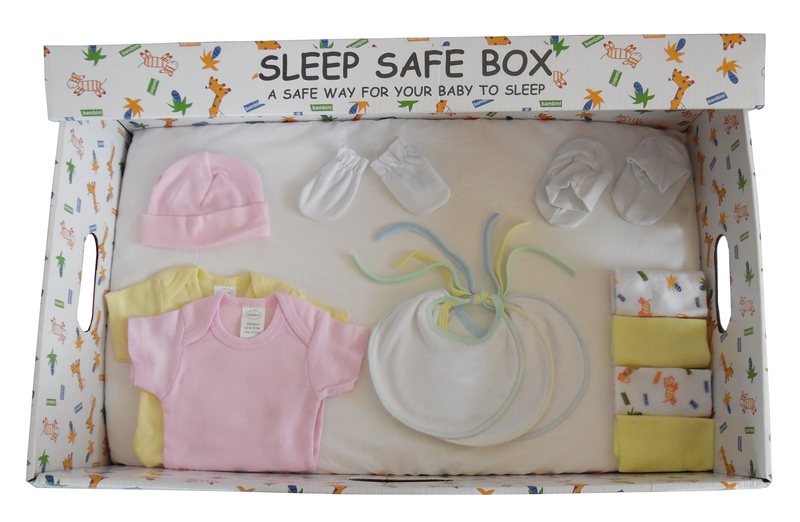 This Starter Set Box comes with a lot of those basic necessities for a newborn baby girl. 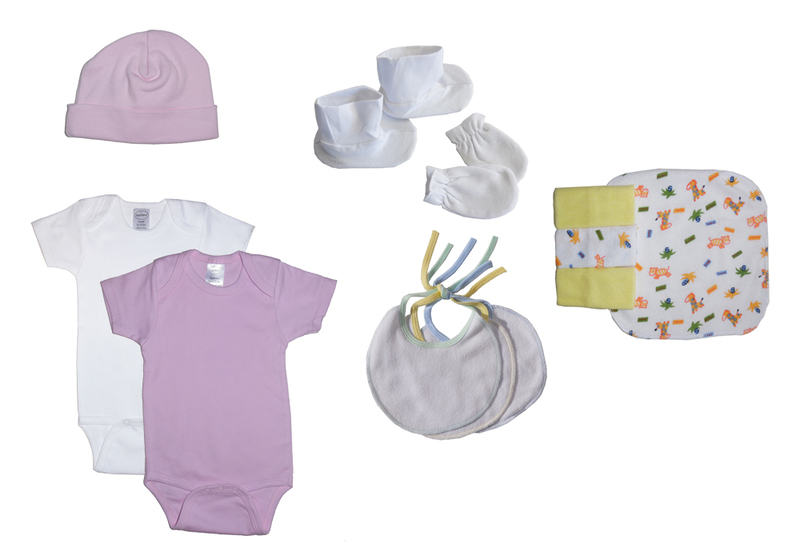 Our baby gift boxes are filled with Newborn and small sizes which covers up to one year. NOTES: Patterns shown are for illustration purposes only. You may receive a different pattern in the color you select. Prints and styles can vary depending on availability The box lid is NOT for use while the baby is inside the box! The box lid is intended for storage purposes only. Box Dimensions: L 26 1/2 in. | W 16 in. | H 12 in.